Home > News > Should I go Paper, Plastics or Metal for my POS Solution? POS Material Choices - Does it Matter or Not? When reviewing POS display materials there are several different options including paper, cardboard, various types of plastics, various types of wood, and different types of metal to choose from. 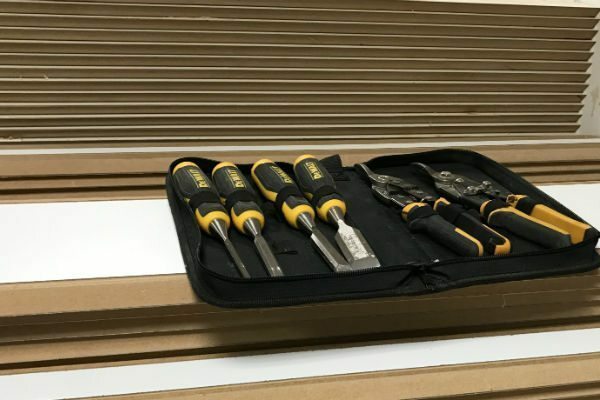 When selecting materials for your display consider cost, the duration of the display, ease of assembly, and how easy it is to move are all factors to keep in mind. Here is a brief overview of each. In terms of overall cost, the more durable and longer-lasting a material is the more it tends to cost. In terms of experience paper or cardboard are the cheapest, followed by plastic, wood, and then metal. Note that this is in the general sense and is not guaranteed as the size and scope of the display also affect overall cost. When calculating expenses look at what is needed, turn around time for production, and not just the expense associated with raw materials. Consider how long you need a display for. Displays made out of paper or cardboard wear down relatively quickly and are easily damaged. They are short term displays best used for short term events such as weekly sales. By comparison, plastic lasts far longer (several years) but does eventually fade and crack as time goes on. Plastic is suitable for a long term but not permanent display. Wood is a versatile material that can be used for either semi-permanent or permanent POS displays due to its longevity and the availability of several different varieties. Metal displays with proper upkeep can last for several years and quite suitable for long term POS/POP displays. When assembling a display what it is made of can affect how easy it is to assemble. POS displays made out of paper or cardboard while not hard to assemble are far easier to damage and require a more careful approach. By comparison, plastic tends to snap or bolt together and is far harder to damage. Wood requires a degree of woodworking skill to properly assemble i.e. it can be damaged if screws are not installed correctly and non-treated wood needs to be sealed to resist moisture. An advantage of wood is that it is easier to work with than metal and can offer high quality with a faster turnaround time. Metal has its own difficulties when it comes to ease of assembly. 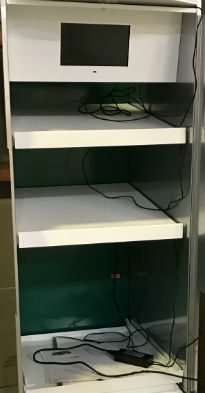 While very hard to damage metal displays often require more effort and tools to assemble due to needing screw, bolts, and so on. Metal POS displays also weigh more and remember that they may not be suitable for certain scenarios, such as where they need to fit into existing retail furniture such as shelving. 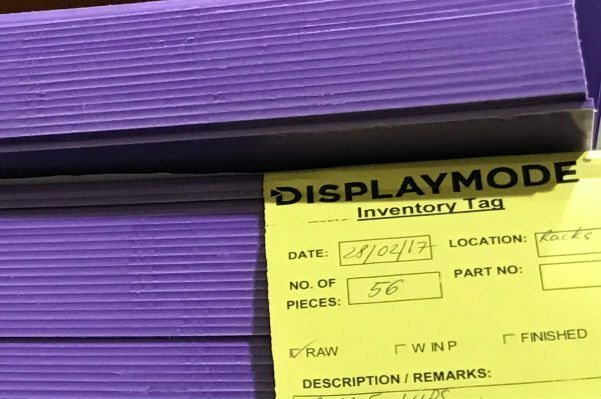 When moving a display two factors have to be kept in mind, weight, and durability. If a display has to be moved regularly consider using a design and material combination that is easy to move given your resources and use heavier materials for longstanding immobile displays. Not all materials can be manufactured or engineered to meet POS display requirements. A mix of various materials allows you to manufacture a display that fits your requirements. Common examples include metal shelving with plastic buckets or metallic frame with canvas or plastic painted message areas. When selecting materials a prototype stage is essential to product development. Without proper prototyping you have no way of knowing if your material selections are workable. Materials could be too heavy, too weak, and there's always a chance manufacturing issues will occur. Material selection should always be given careful consideration. Selecting the proper materials is not always an easy question and not as simple as it appears. At DisplayMode we look at your business, guide you through the process, and work with you to provide the answer. DisplayMode is a leader in the POS/POP industry serving clients worldwide and some of the most well-known brands in the marketplace today. Our experts can help you develop POP/POS displays that are designed to fit your business needs. Contact DisplayMode today to learn more.